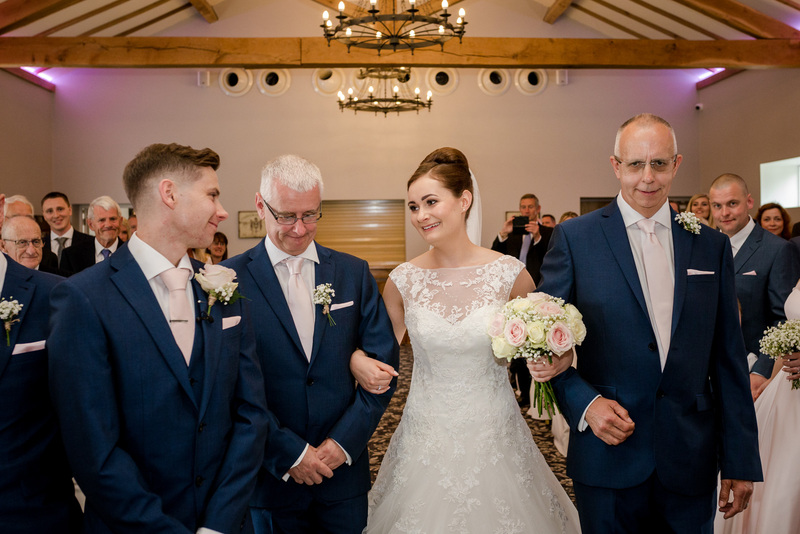 Bryony and Gary’s epic wedding at the Villa Wrea Green was the second time I’ve had the pleasure of witnessing a bride being accompanied down the aisle by both of her dads at the same time. 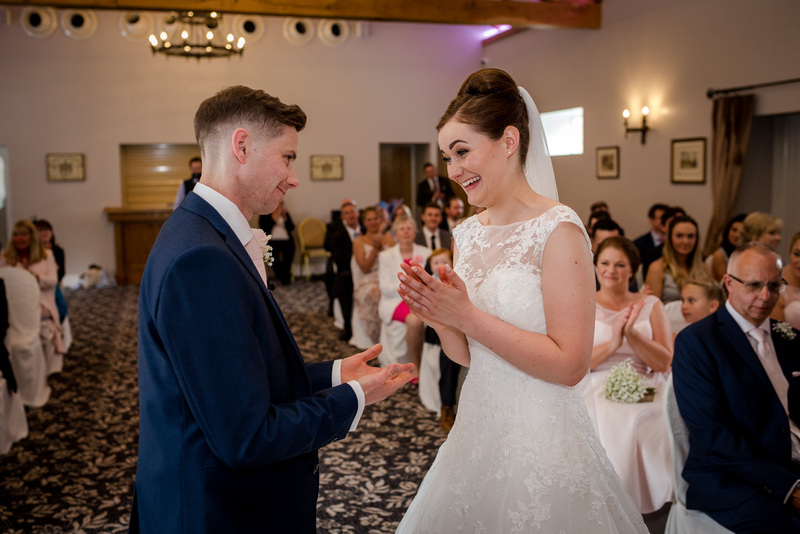 It was a real honour to be present during such a wonderful moment. 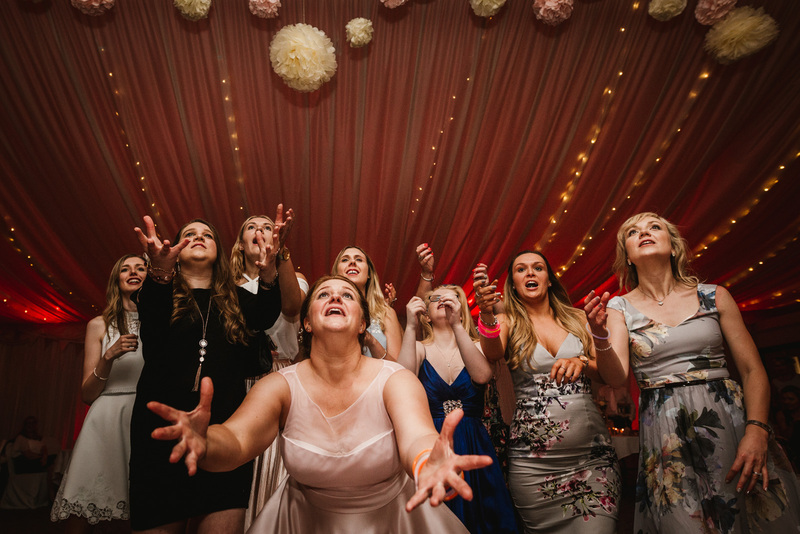 A huge party in the marquee! 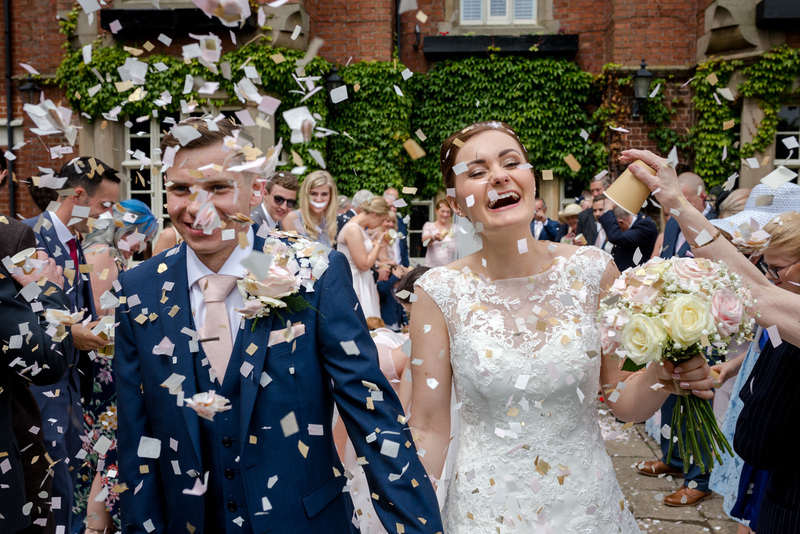 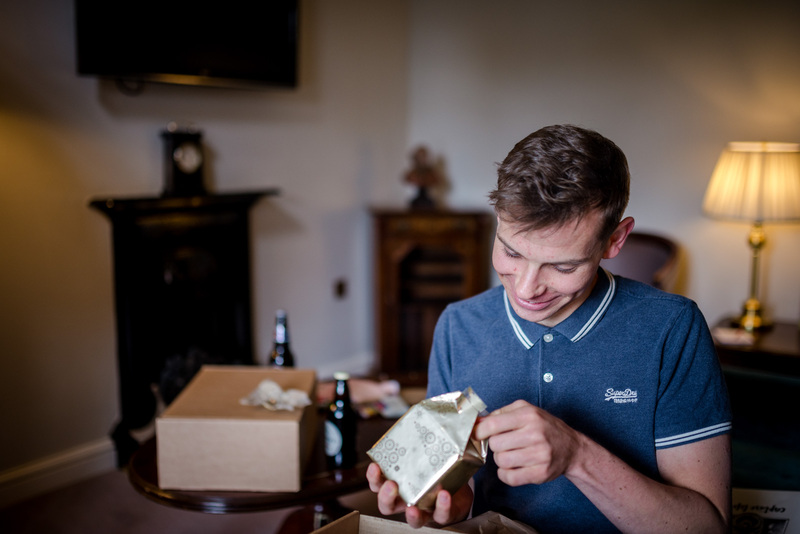 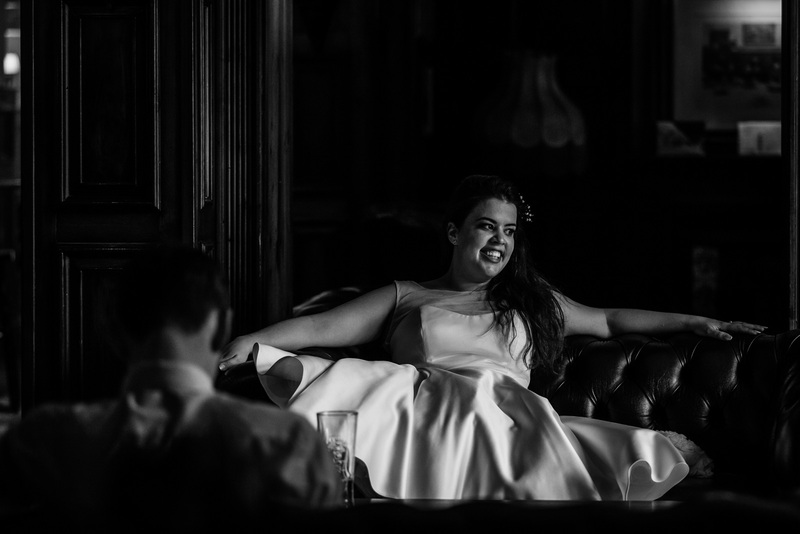 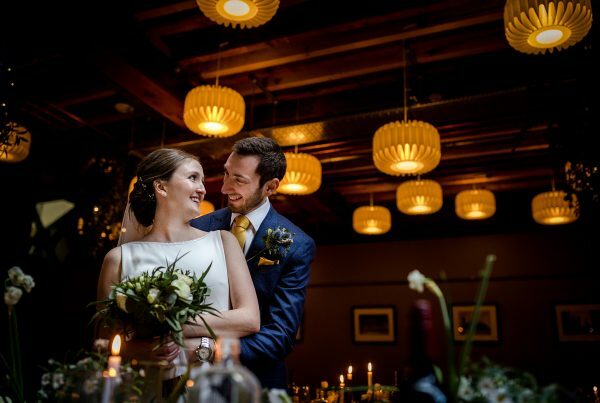 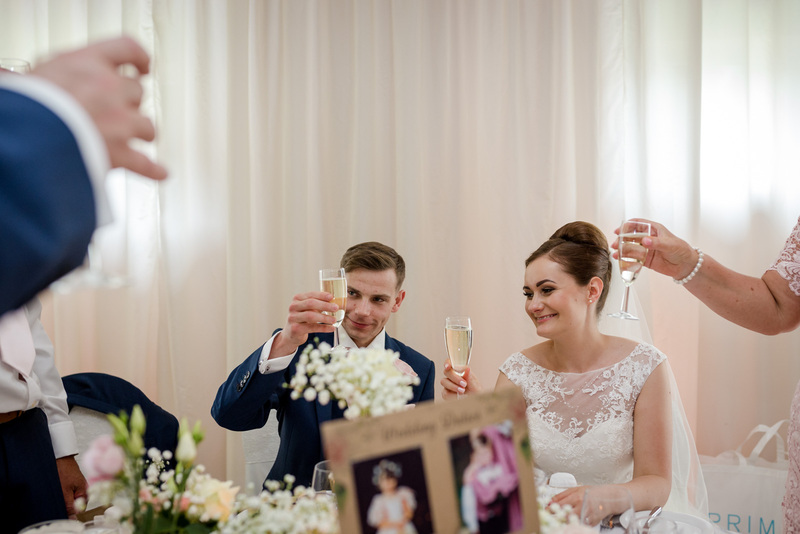 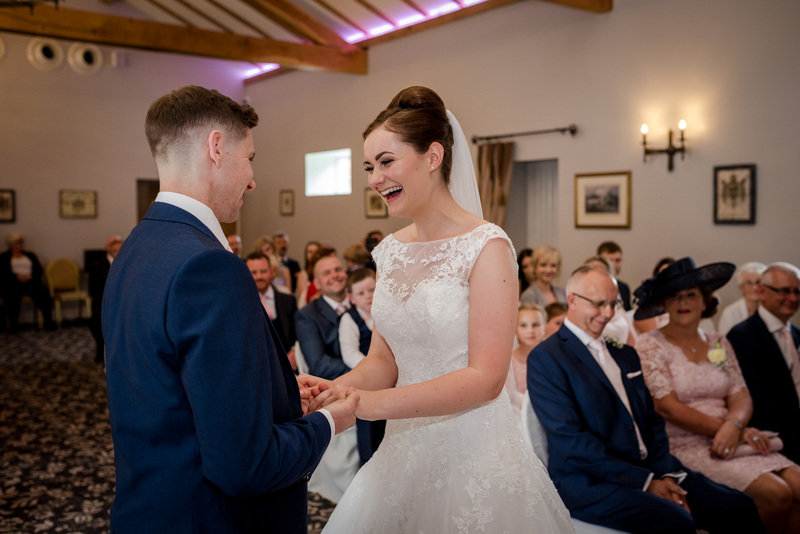 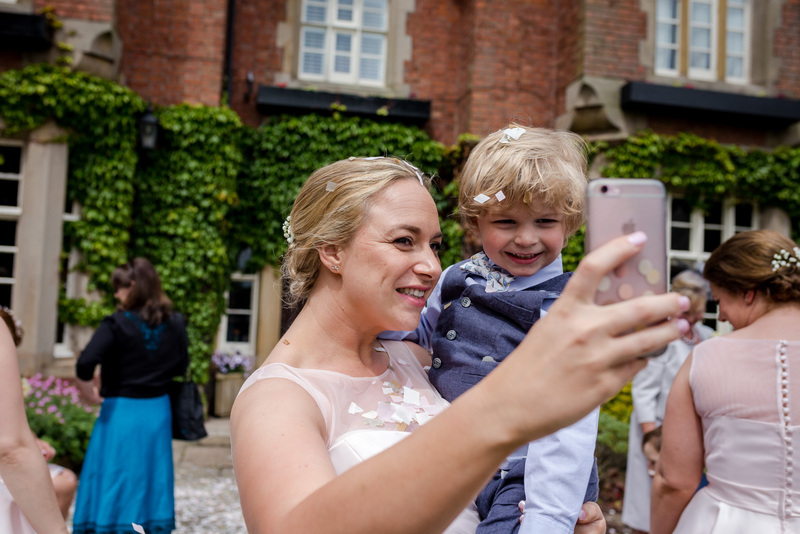 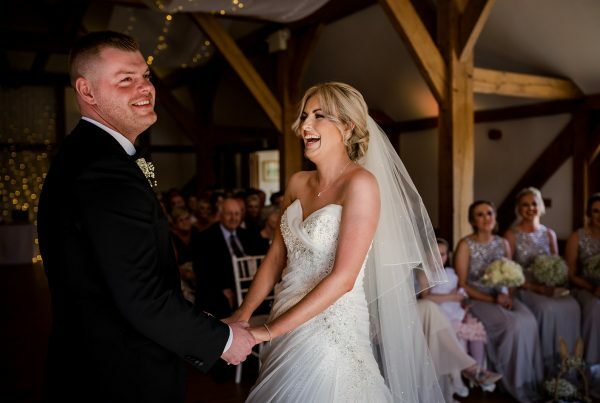 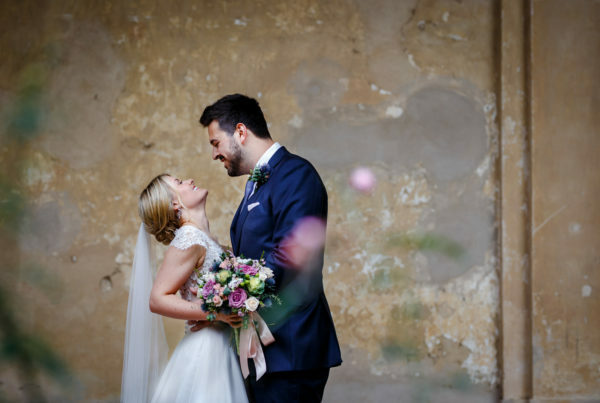 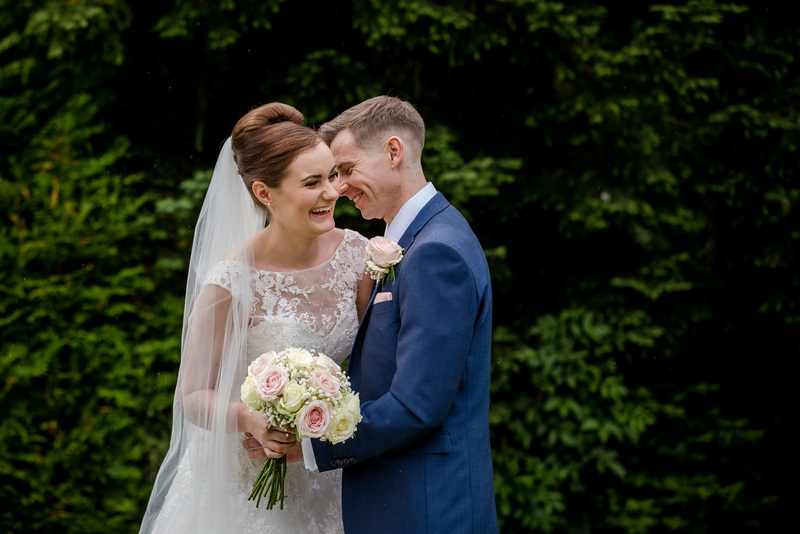 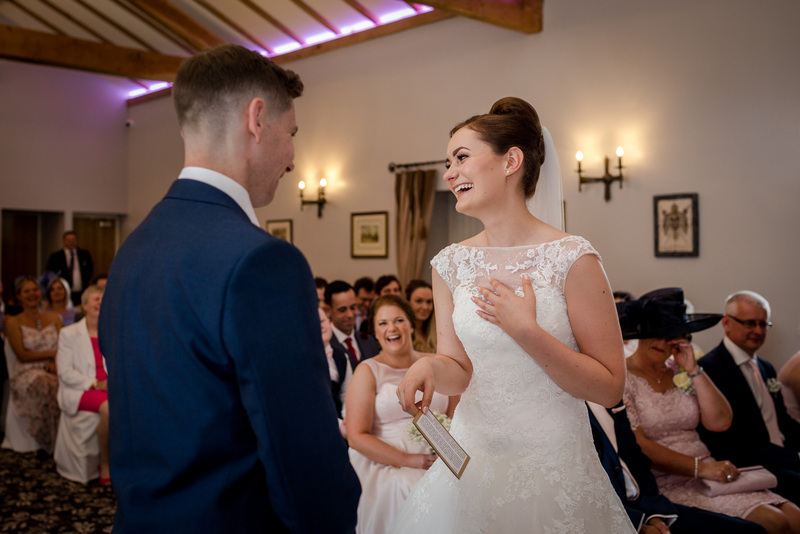 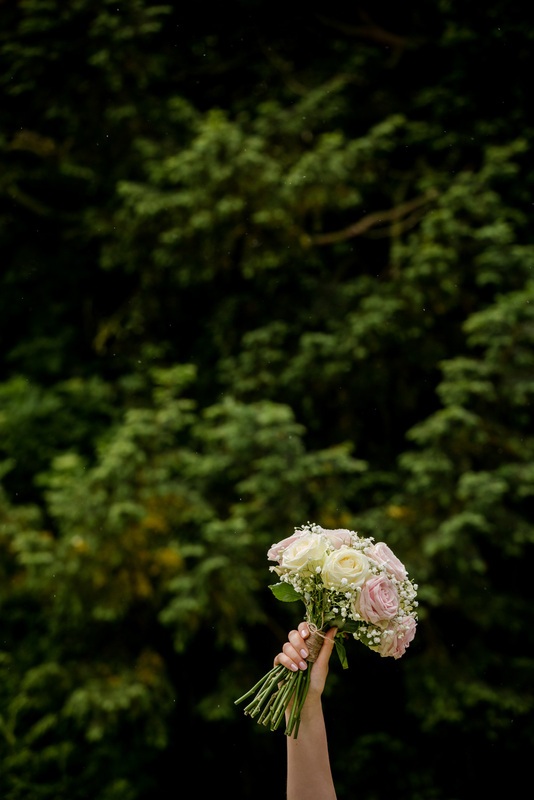 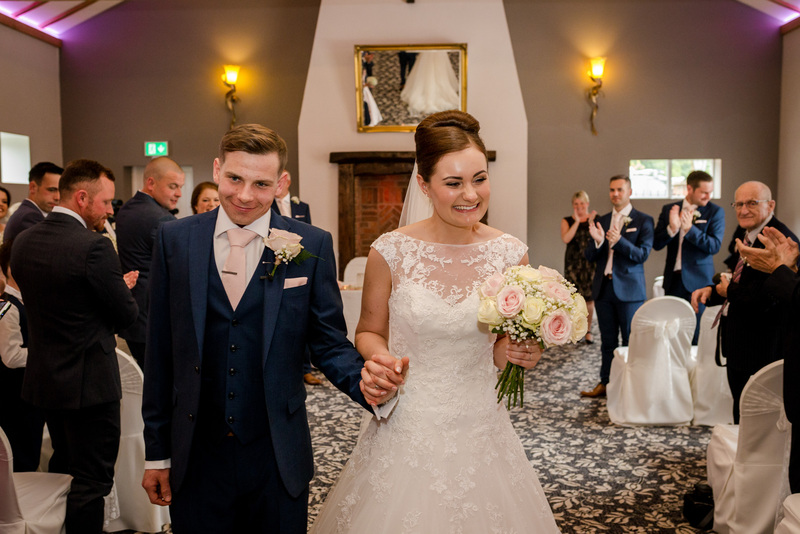 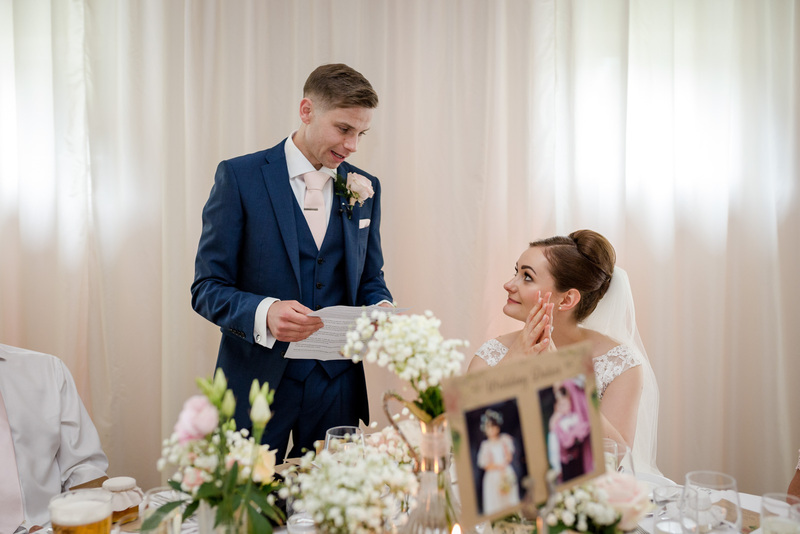 Bryony and Gary are such a lovely couple, and having also met some of their families during a pre-wedding meeting, it’s safe to say that I was really looking forward to the occasion. 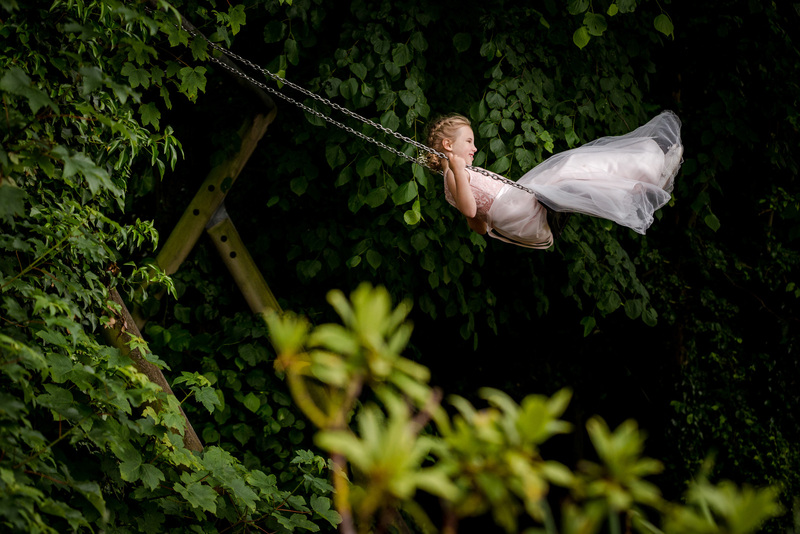 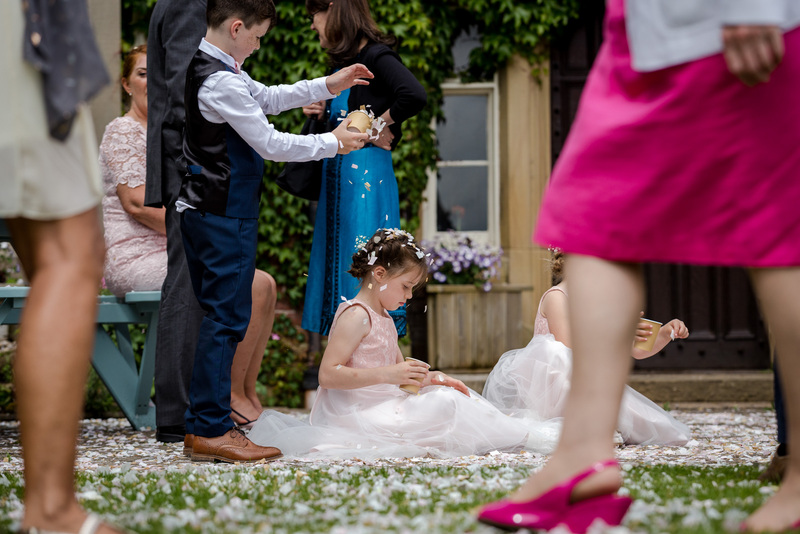 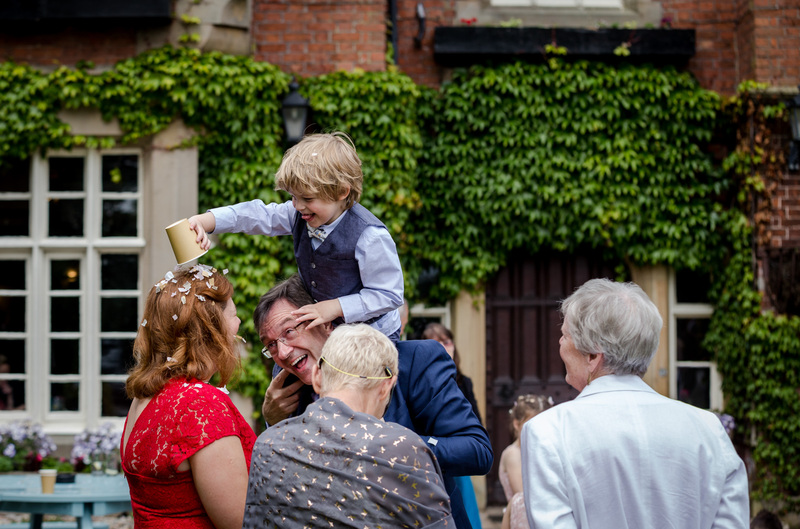 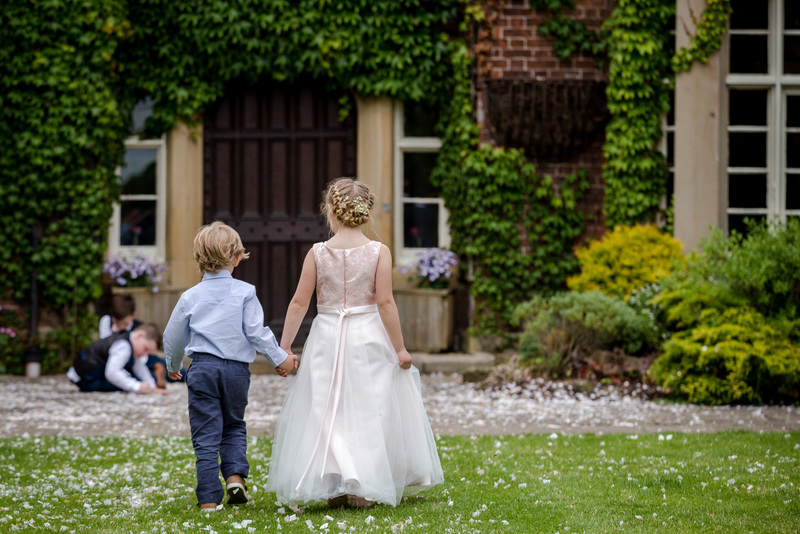 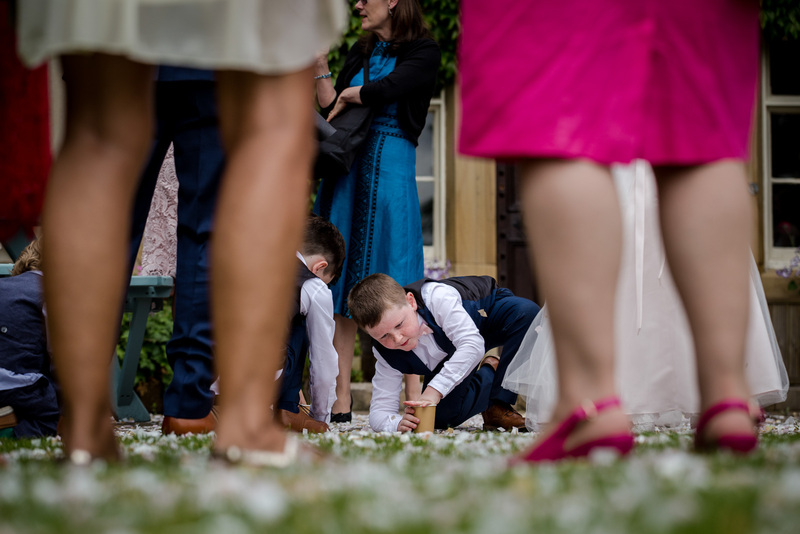 The day was so relaxed and despite the occasional shower, the weather was great for the majority of the day allowing the guests to mingle outside and the children to play freely within the grounds. 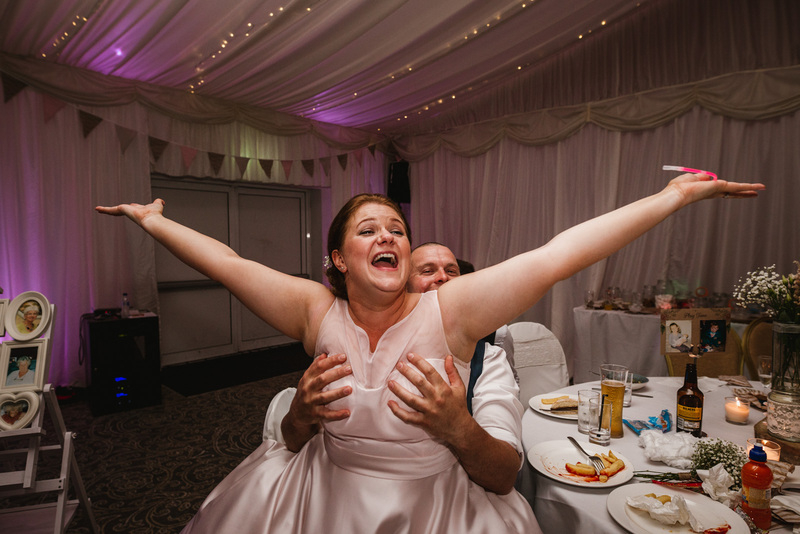 Plus, we also had an absolutely gorgeous sunset. 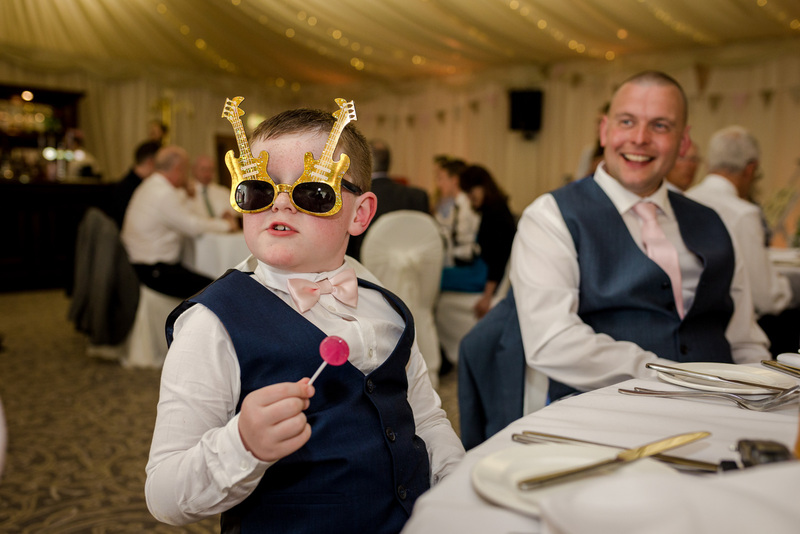 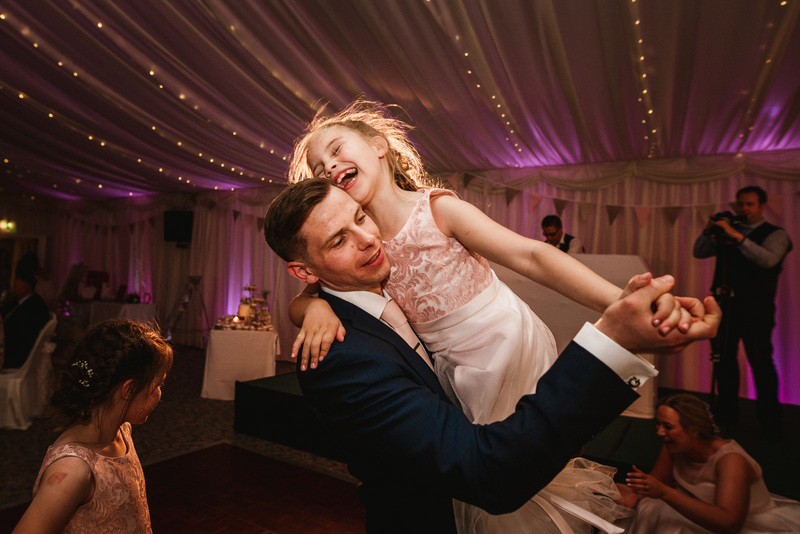 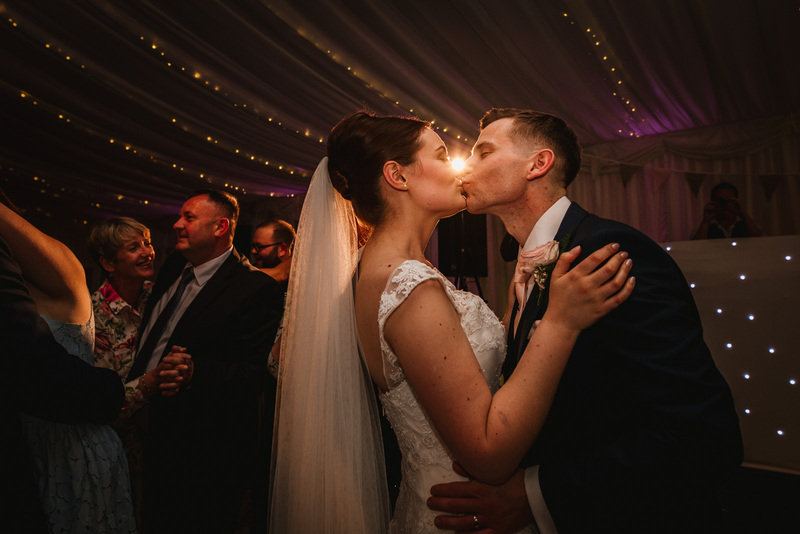 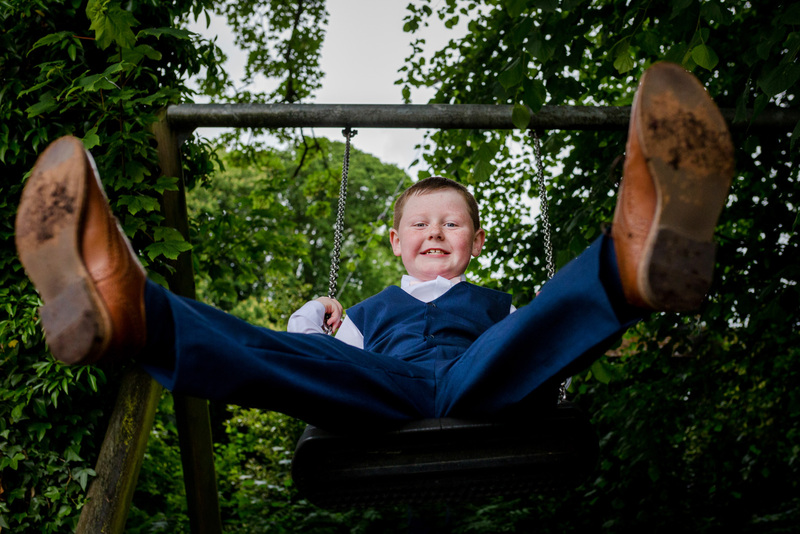 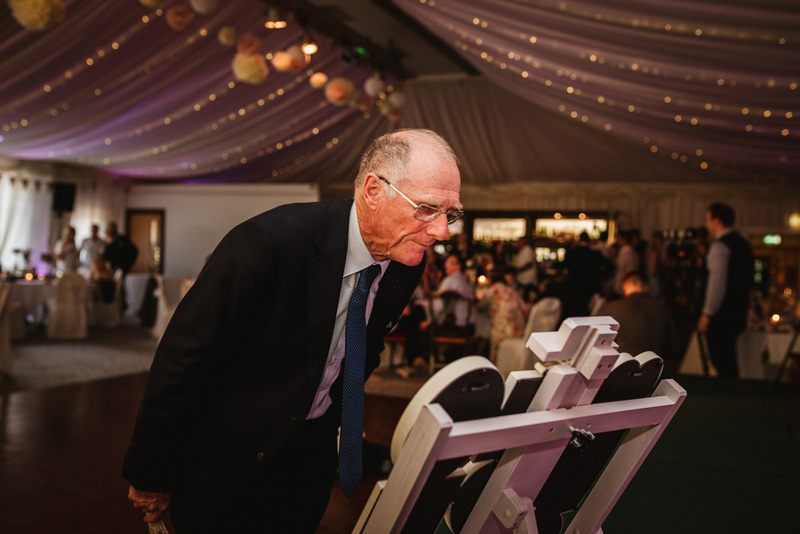 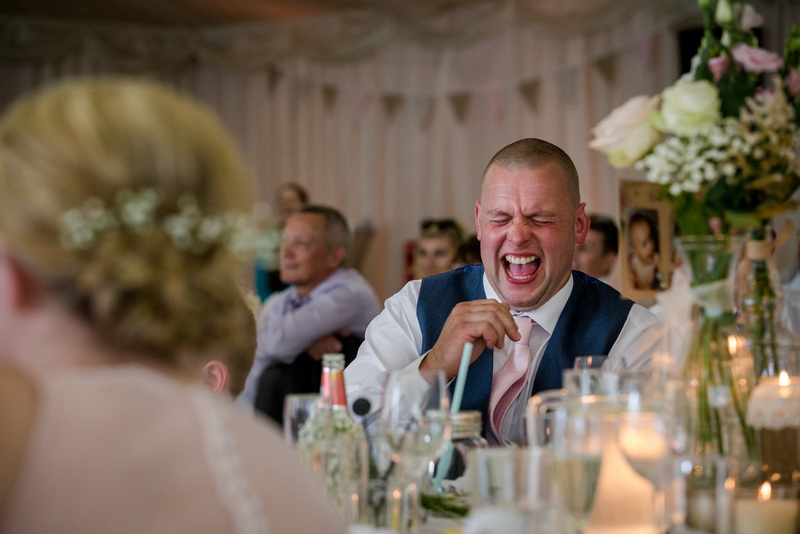 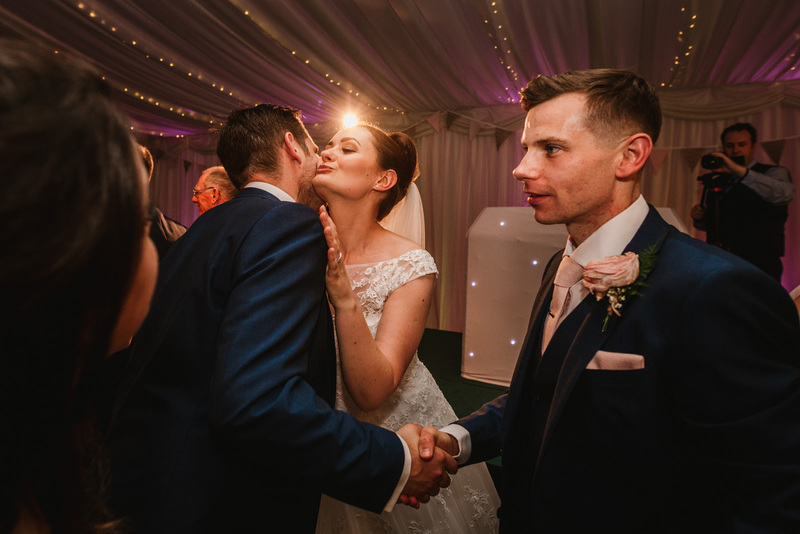 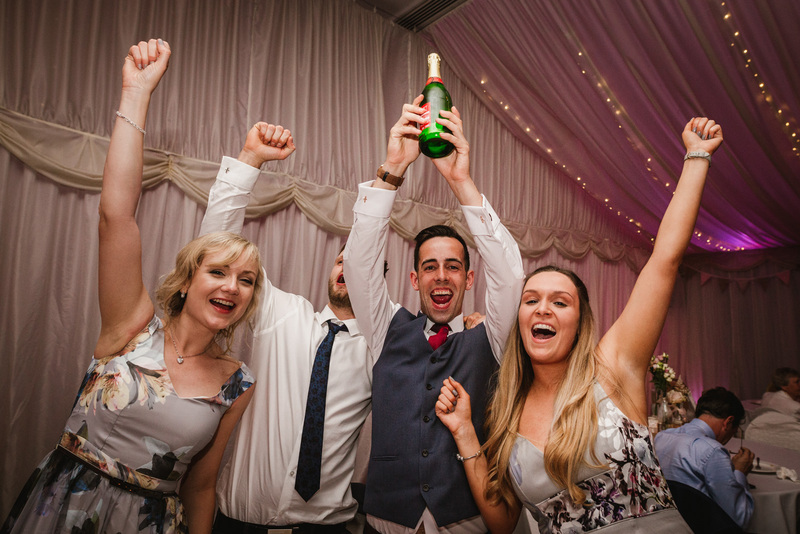 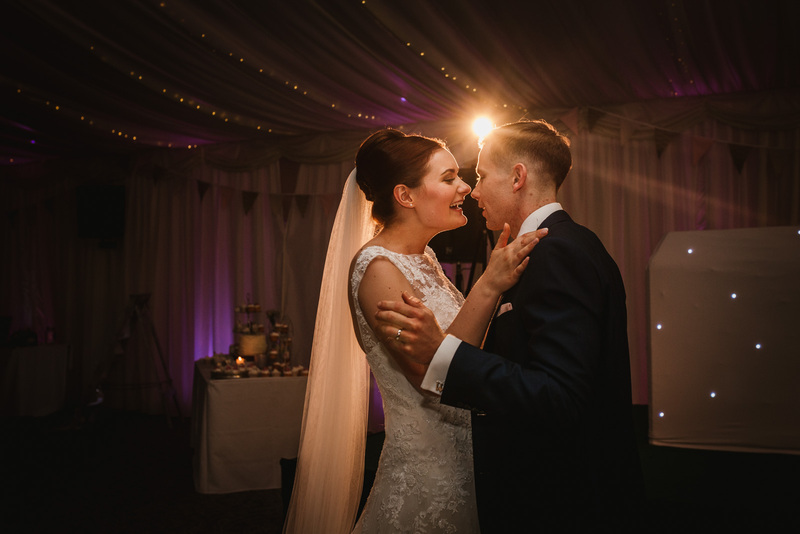 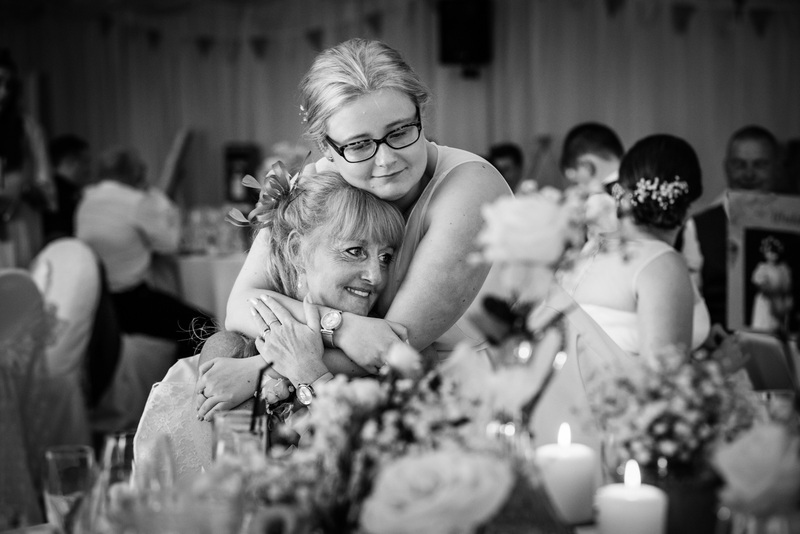 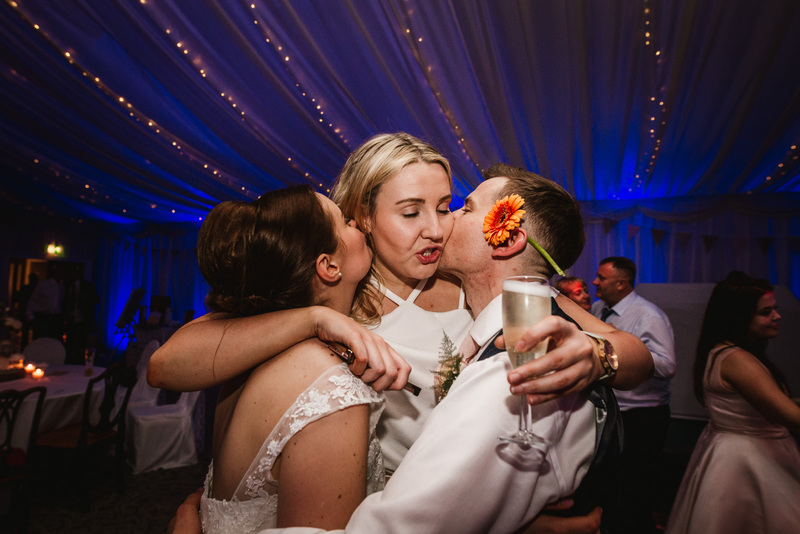 I was particularly impressed with the huge marquee which was the location for the wedding breakfast and the evening reception which was simply one of the most enjoyable wedding parties I’ve ever photographed. 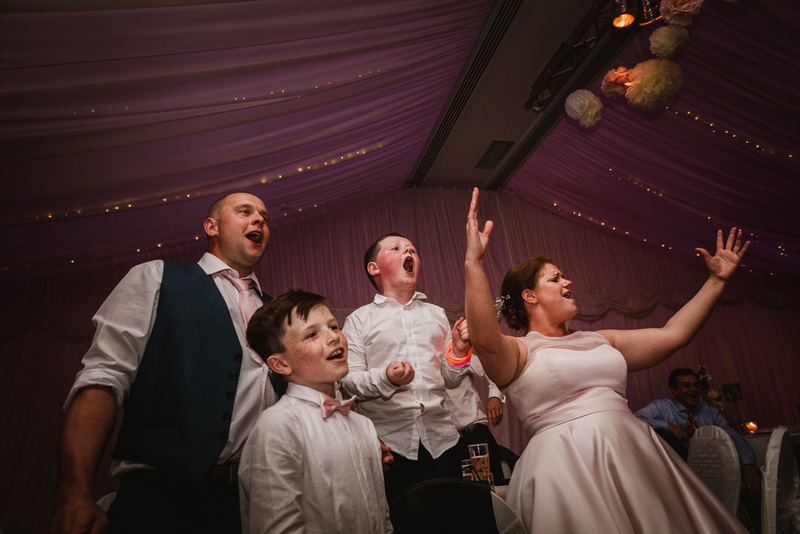 All the guests were up for a proper rowdy party as you can see from some of the photos I took later in the day. 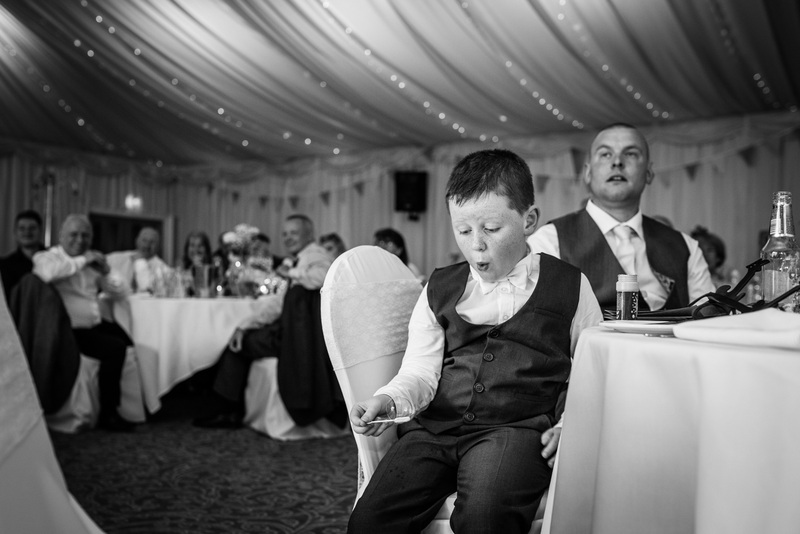 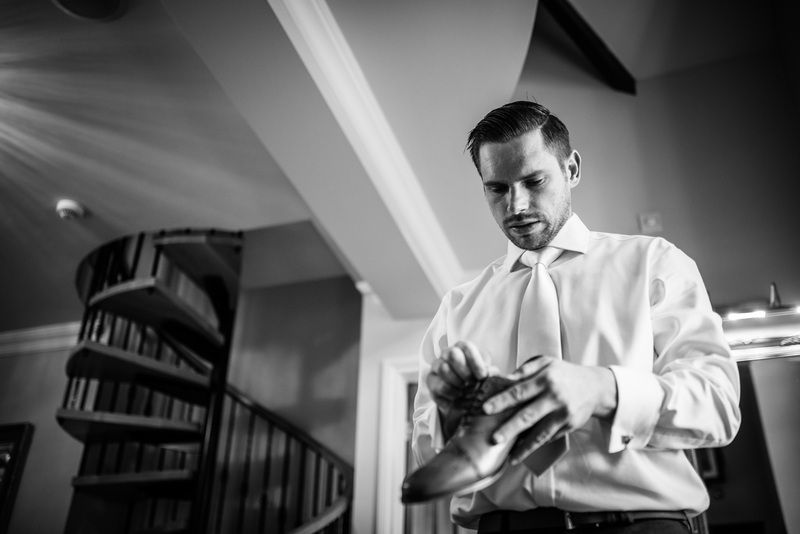 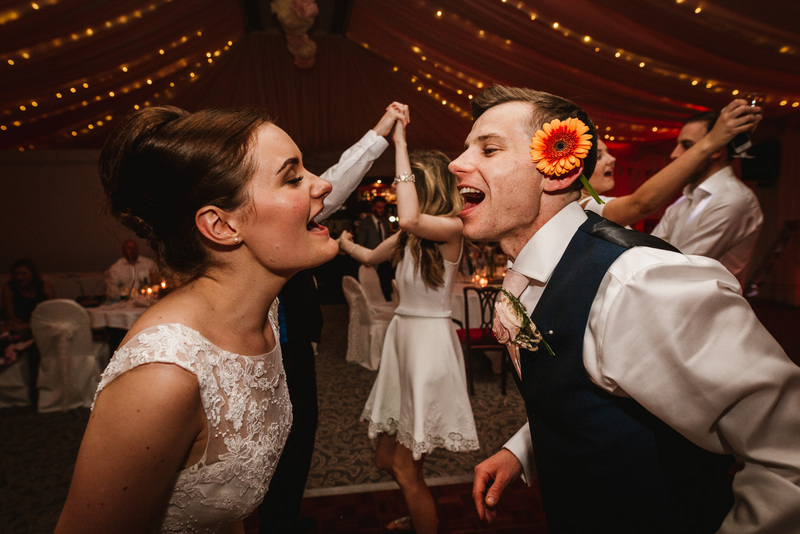 Sit back and enjoy some of the highlights from a superb wedding. 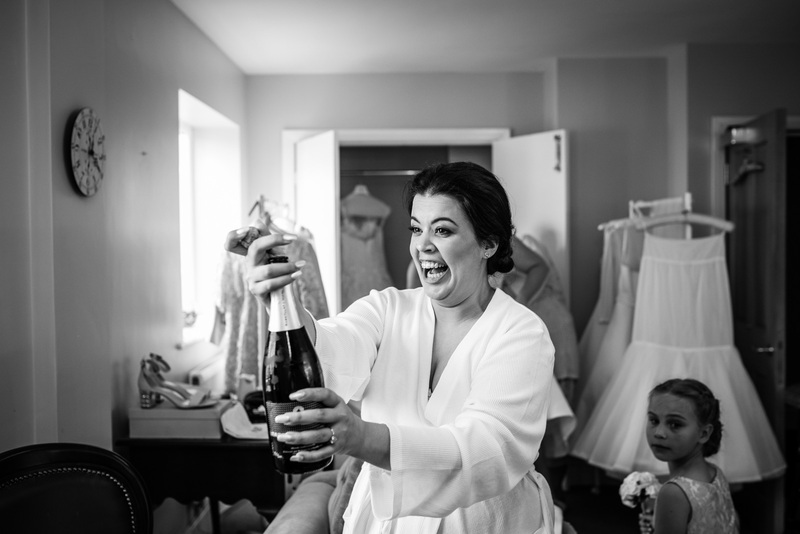 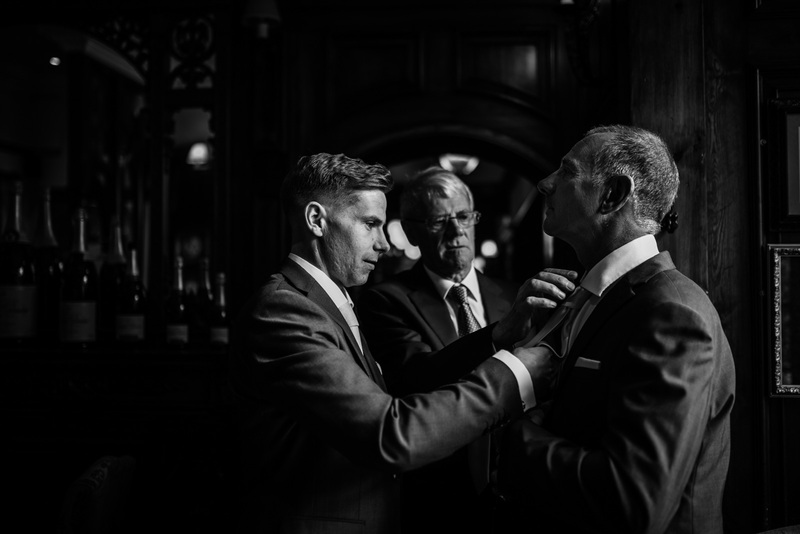 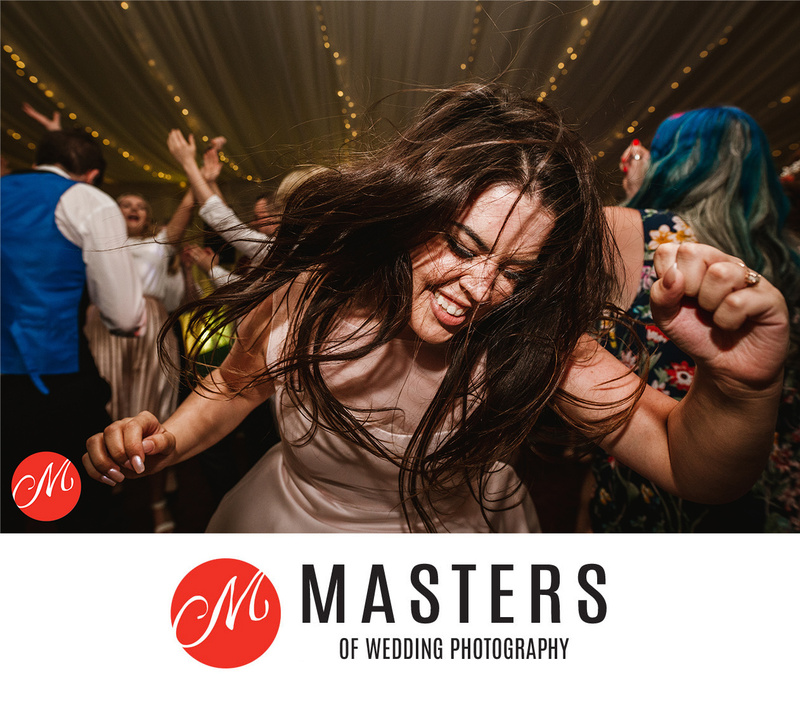 This particular wedding will always be memorable for me as one of my photos from the day won a Masters of Wedding Photography award last month. 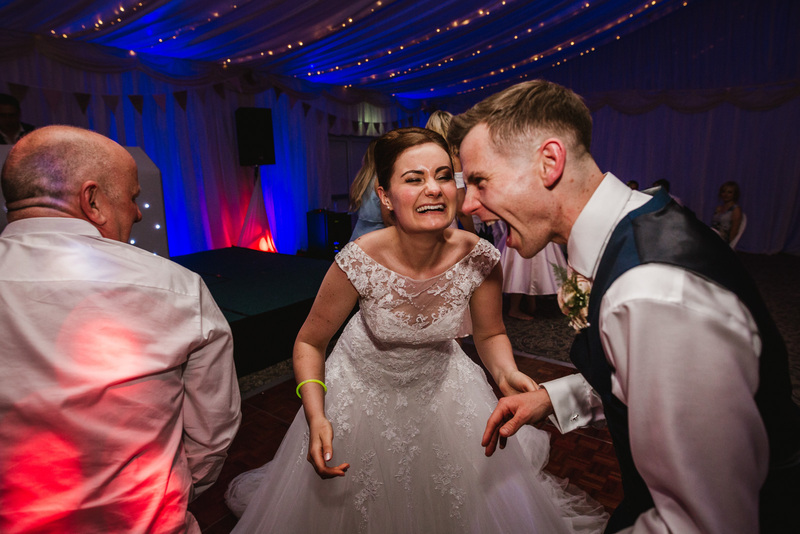 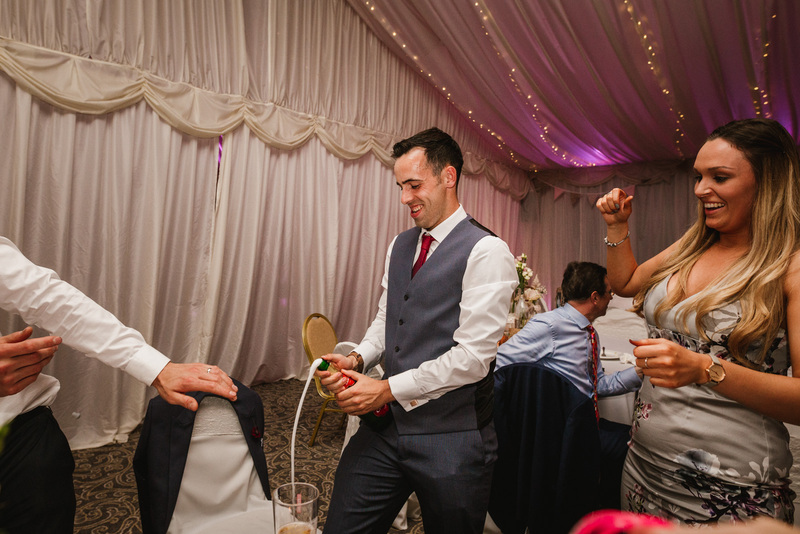 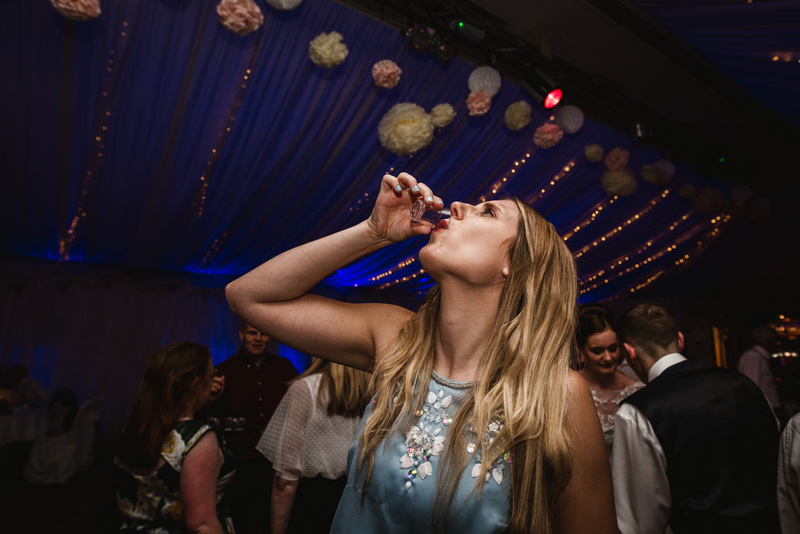 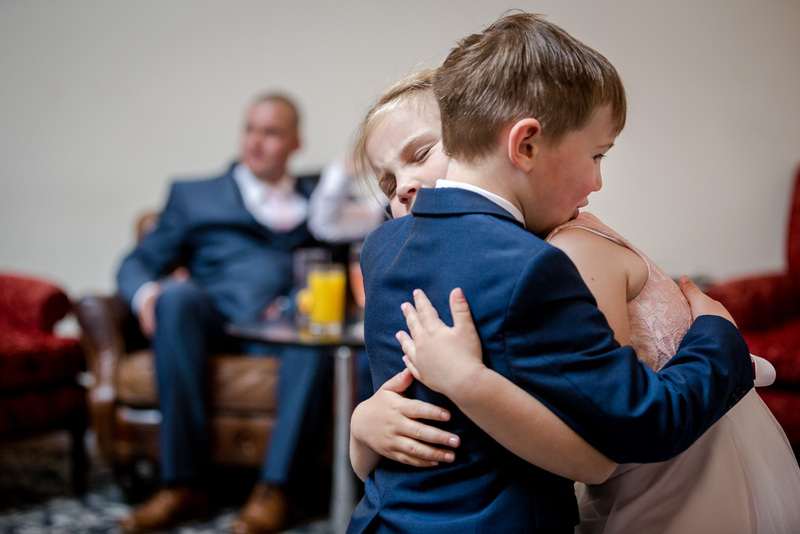 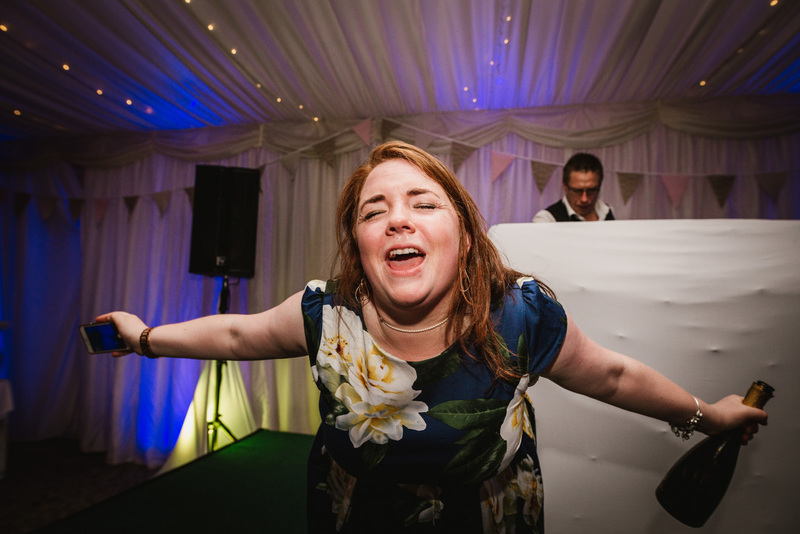 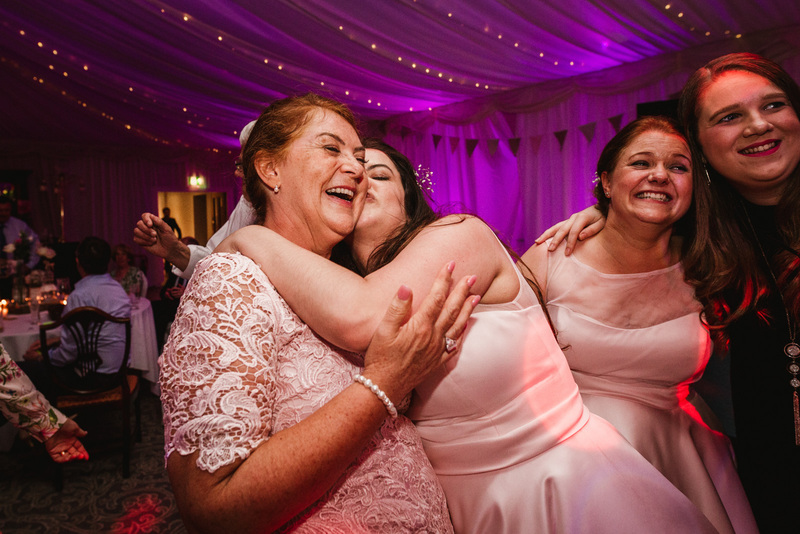 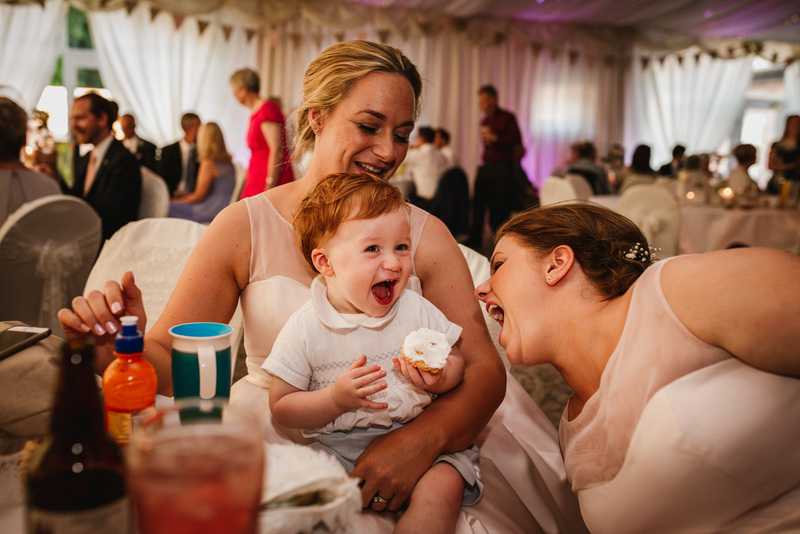 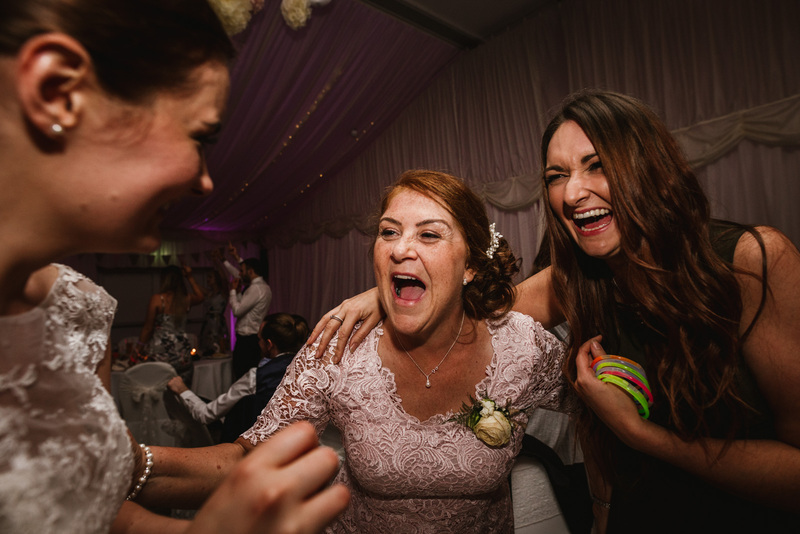 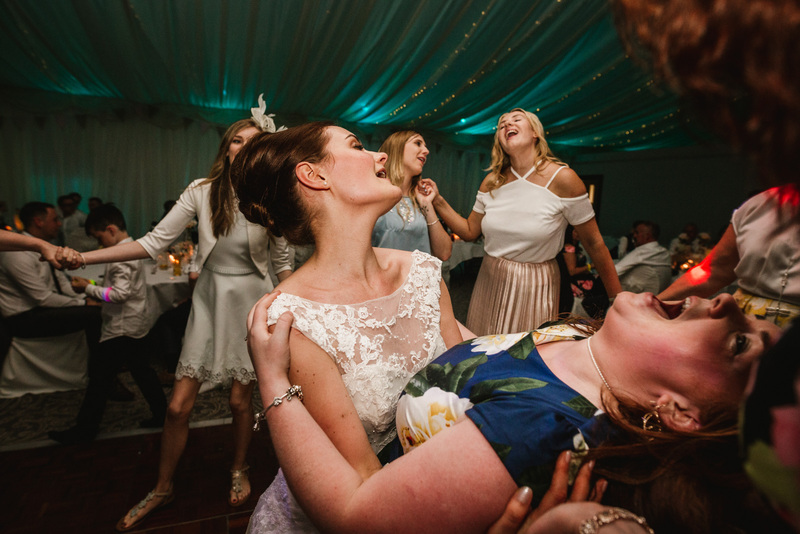 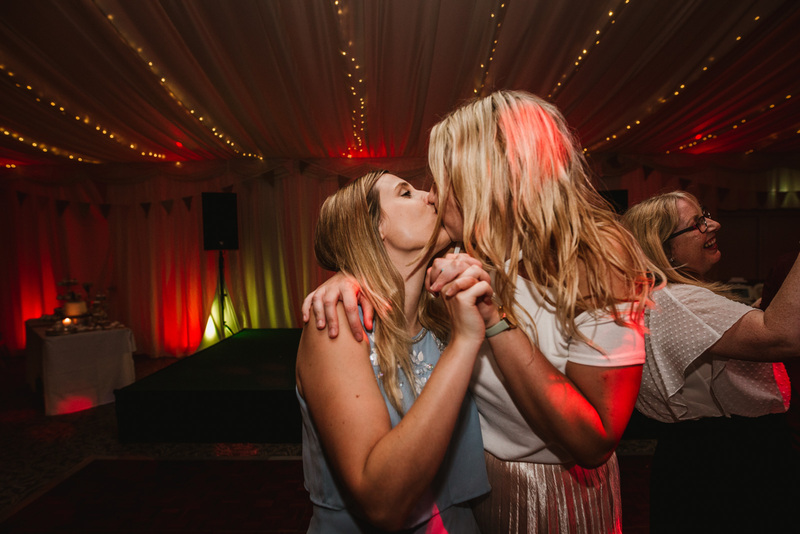 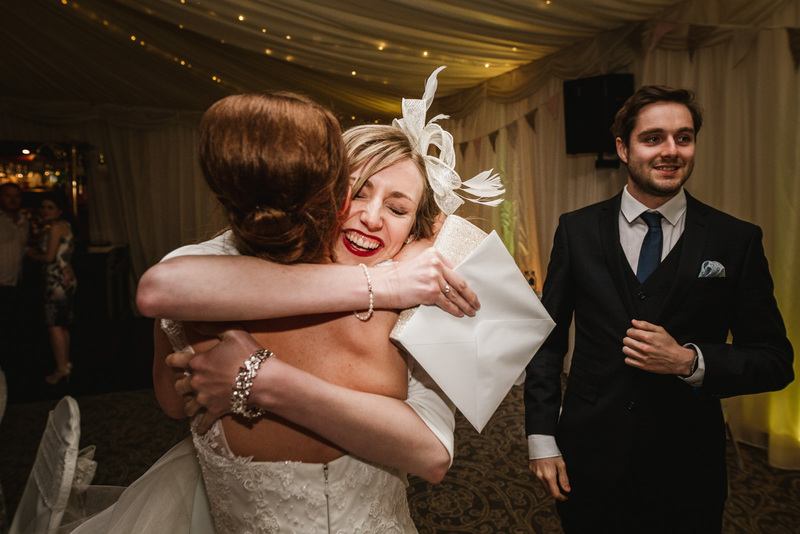 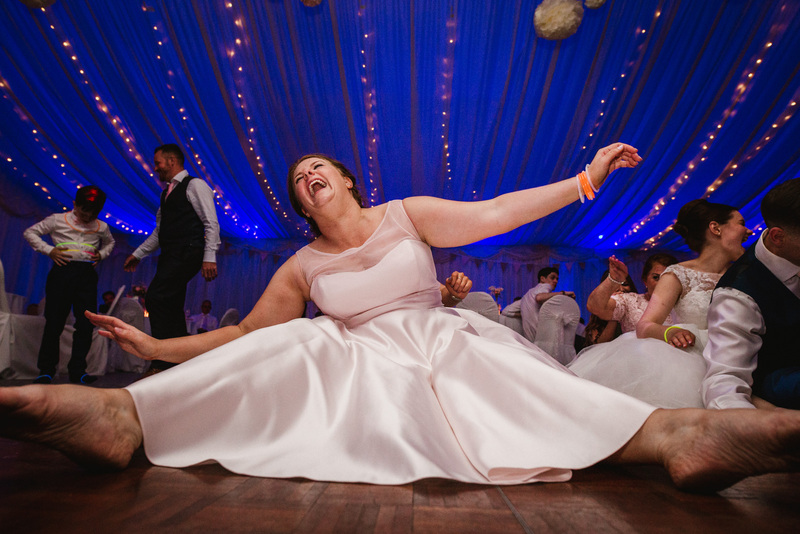 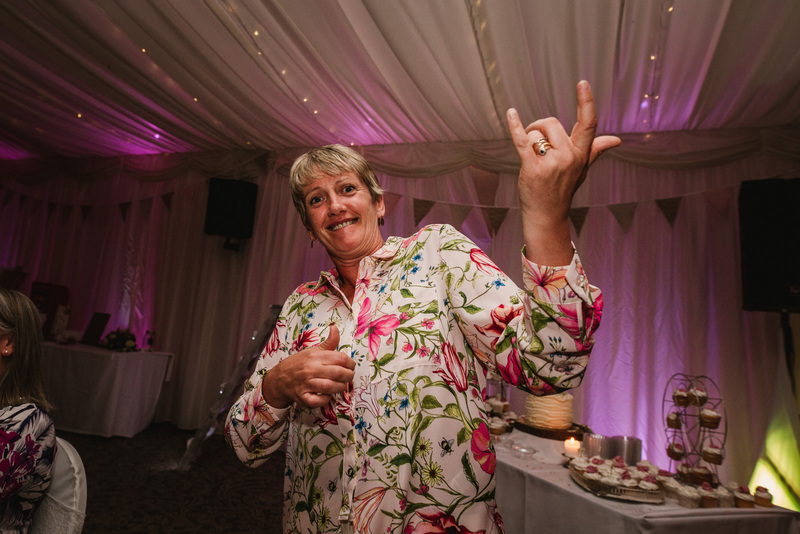 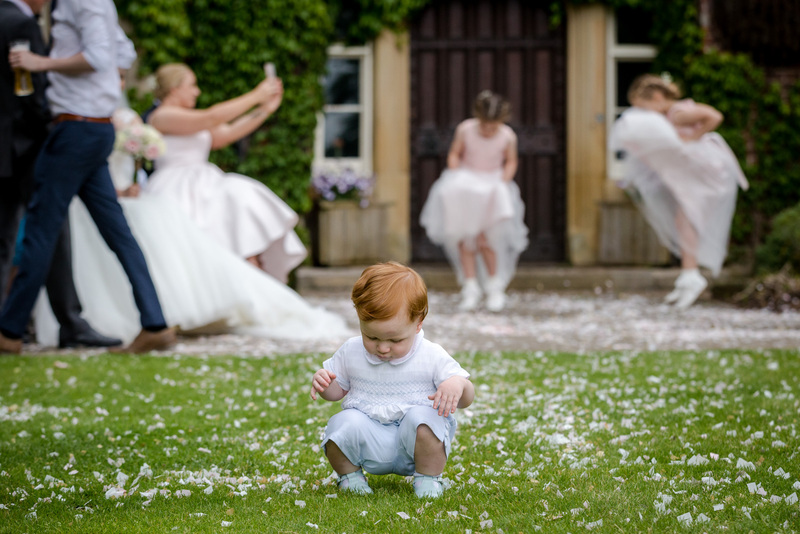 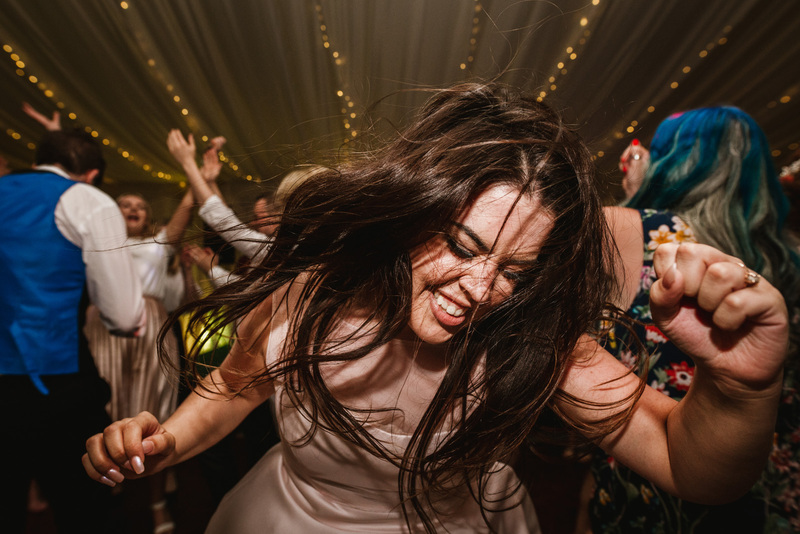 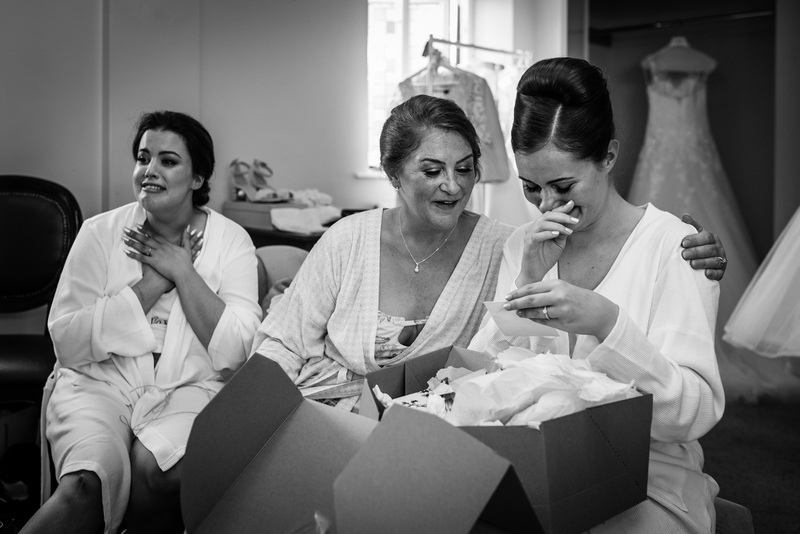 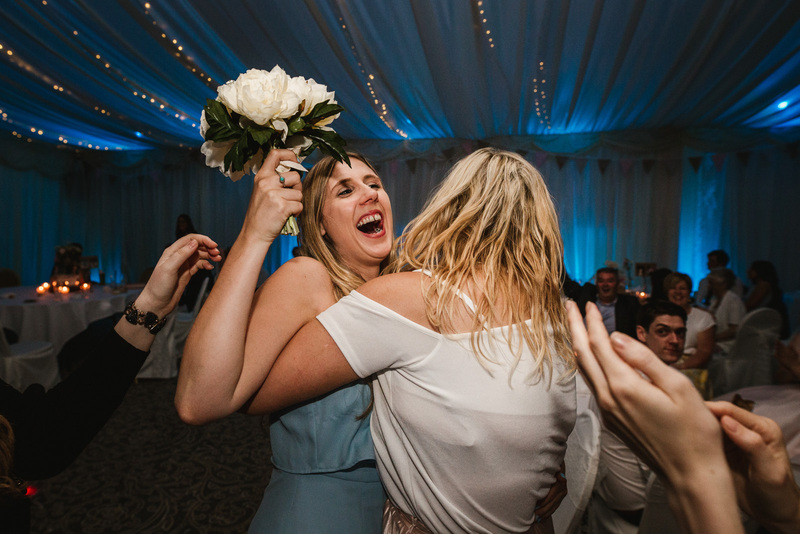 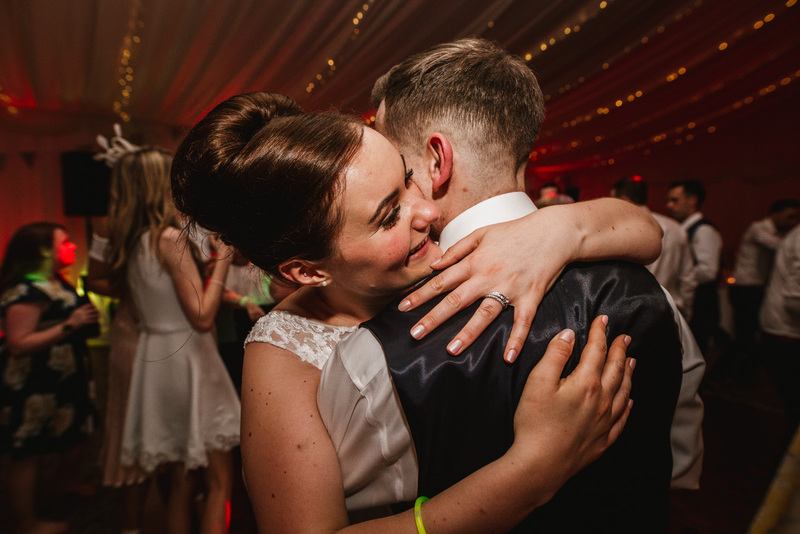 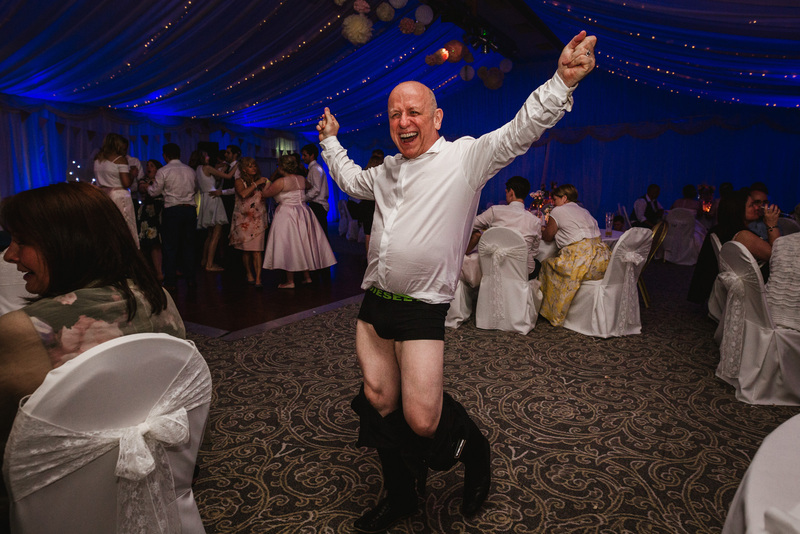 Below is the award winning photo of one of Bryony’s bridesmaids lost in the music on the dance floor. 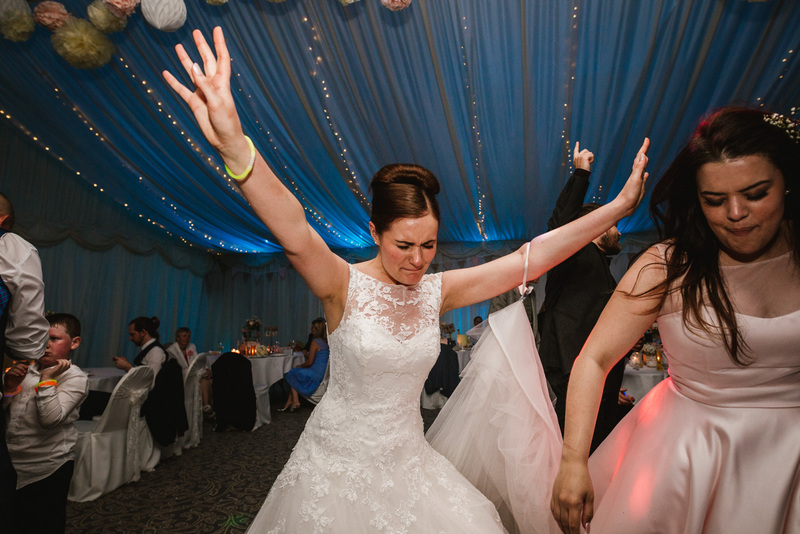 Thank you so much to the newlyweds for having me and Lauren along for the ride. 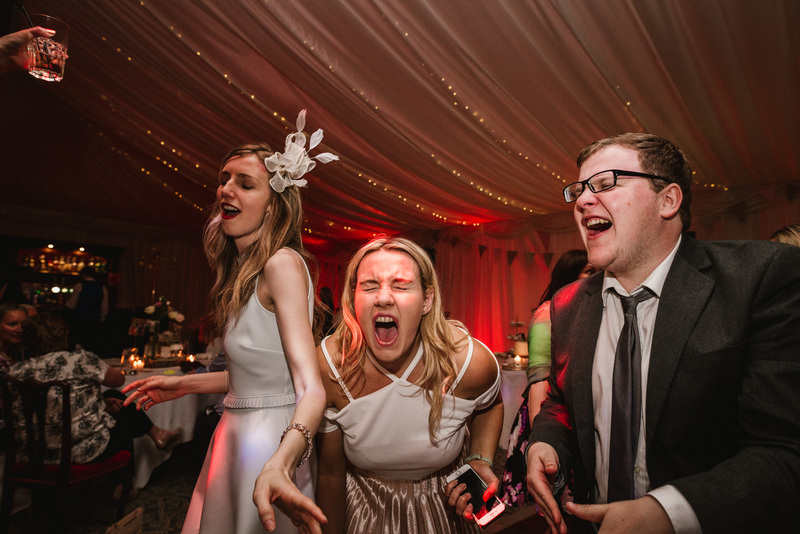 We had an absolute scream and cannot thank you and your friends & family enough for making us feel so welcome. 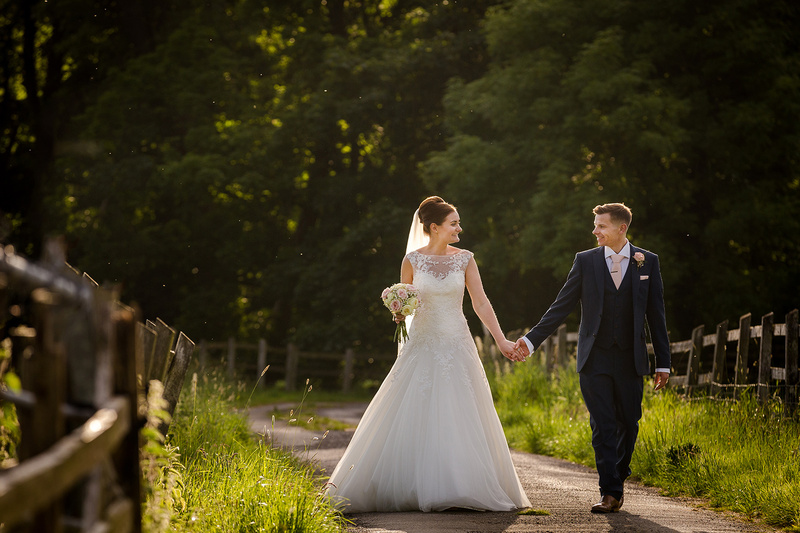 Bryony’s sister and her fiancé have since booked me to photograph their wedding in the Lake District, I can’t wait to see you guys again next year! 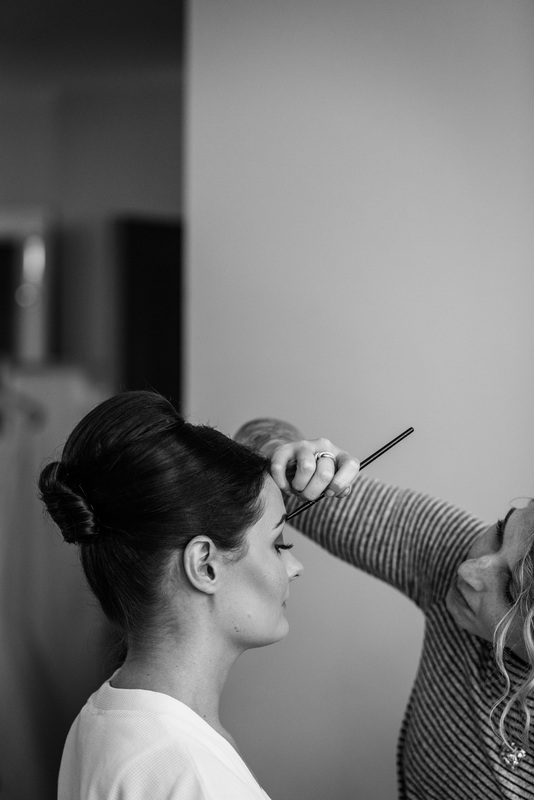 Thanks to Lauren Jo Kelly for assisting/second shooting on the day. 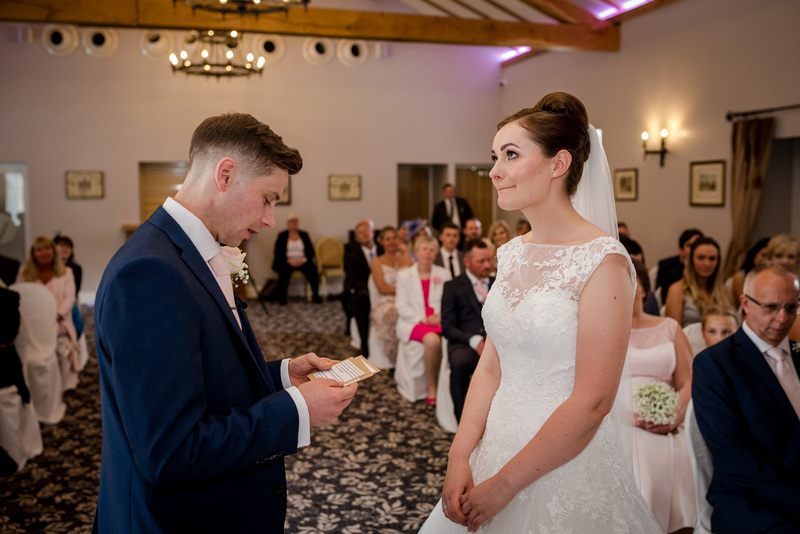 Photos are © Steve Grogan Photography.